Thanks to the likes of Jamie Oliver, Mary Berry and Gino D’Acampo to name a mere few, food has become fashionable, affordable and easier than ever to prepare – so what better time to get creative and spoil your guests than whipping up some refreshing treats for them to enjoy at your wedding! Forget scones, heavy pastries and soup for starters and replace them with light, refreshing and summery food and drink to add a flavoursome and refreshing twist to your special day. If you are worried that your venue can’t accommodate your requests then simply ask your wedding coordinator to speak with the head chef about your options and what they can create for you. They will be fully trained and fully competent to create something unique for you so don’t be afraid to rock the boat! The same applies when it comes to the bar. If they’ve got all the ingredients to make a Piña Colada but it’s not an option in your wedding brochure, just add it on top or enquire about costs to substitute the standard bubbles. If you have the freedom of a marquee wedding or you’re simply hiring a hall as your blank canvas and get to prep the food yourself, then you really have no excuses to stick to boring ham sarnies and cheese and pineapple sticks. 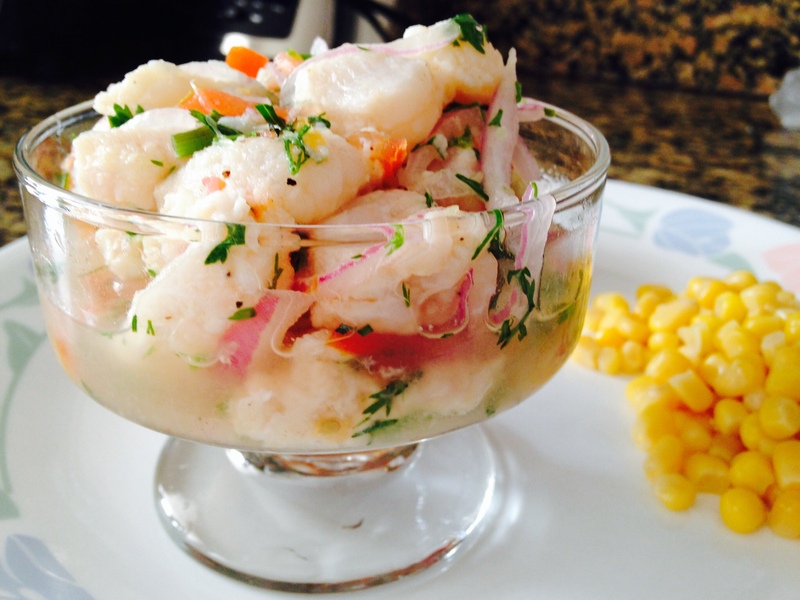 Be creative and adventurous with your food – it’s one of the main things that your guests will remember! Now enough talking, check out my Top 15 Food and Beverage picks for a sizzling summer wedding. Saludos! 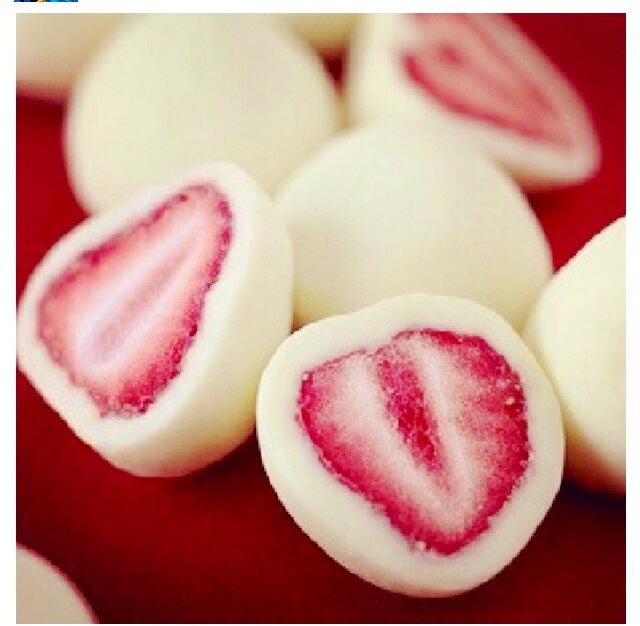 Frozen yoghurt covered strawberries! 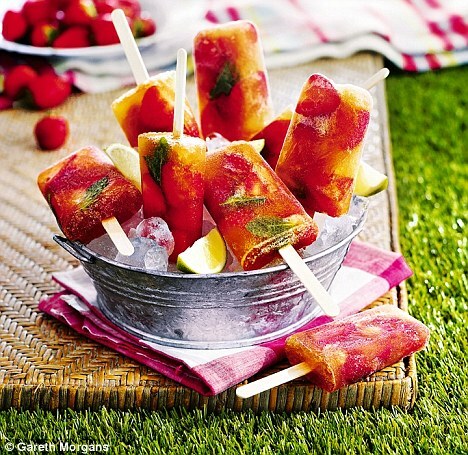 A healthy and delicious alternative to sweets and chocolates that can get sticky and melt in the boiling sunshine! Ice cream is one of the biggest sellers in the UK through the summer months and with us spending £135 million on magnums alone in 2013, that must be reason enough to include this frozen delight in your wedding plans! 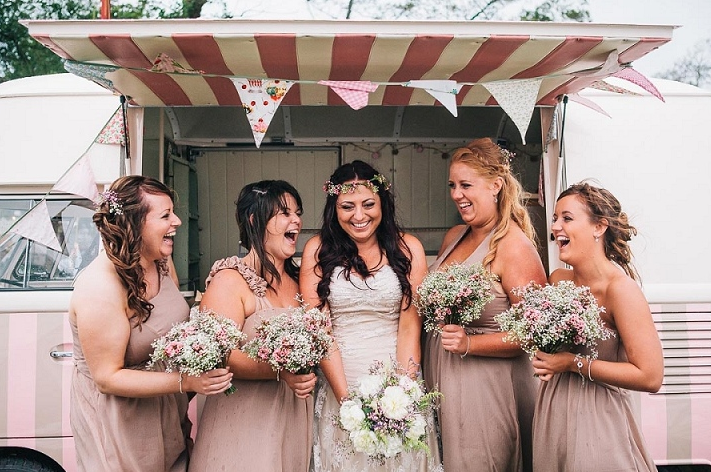 Why not hire a vintage ice cream van or bicycle to serve your guests during your reception drinks or after your wedding breakfast? Pistachio Blush recommends Polly’s Parlour! Let’s face it – when it comes to refreshing beverages, the Spanish do it correcto! 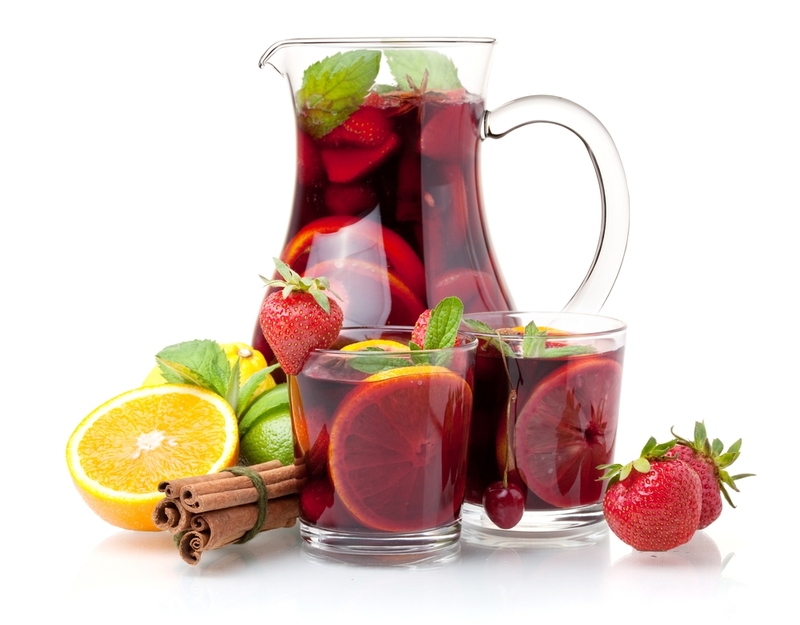 In red wine country it seems only sensible to mix that Rioja with an ice cool splash of lemonade & orange juice to make up that oh-so-scrummy summertime drink, Sangria! Stir in a cinammon stick for no apparent reason and load up with ice as a delicious alternative to Pimms. Perfecto! Apart from loading your guests up on sugary treats before, during and after your main wedding breakfast, why not inject a little flavour and personality into your wedding breakfast itself. 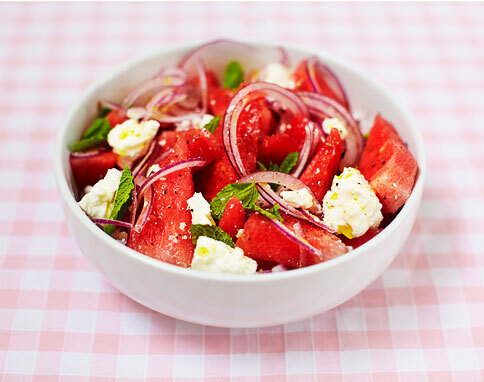 Although it sounds bizarre, this light and refreshing salad made with watermelon, feta cheese and mint is absolutely to die for! Thirst quenching, full of flavour and absolutely perfect for a light starter. Great recipe to be found by the oh-so lovable Jamie Oliver. I still stand by that I had the ideas for these lollies first but I won’t harp on about it! Forget Pimms and ice in a glass, pack those summer fruits, fresh mint and cucumber into a plastic mould, fill with lemonade and Pimms and let your freezer do the rest. 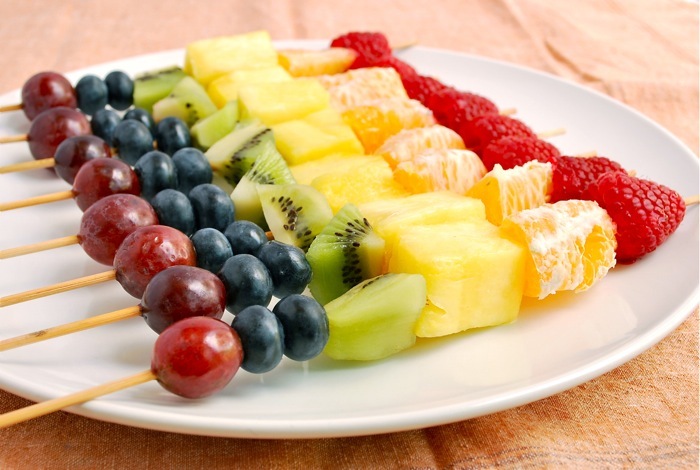 Serve at the table after your wedding breakfast so your guests can grab one of these fruity delights and head outside. If you’re guests are melting at their tables, the last thing that they will want to see is a waiter with a steaming hot pot of coffee leaning over them. So why not treat your guests to this after-dinner tipple in the form of Espresso Martinis. Made with espresso (duh!) 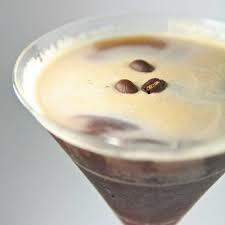 , vodka and kahlua and finished with a blob of optional whipped cream and a few coffee beans for decoration. These little cheeky watermelon bites are almost too adorable to eat! 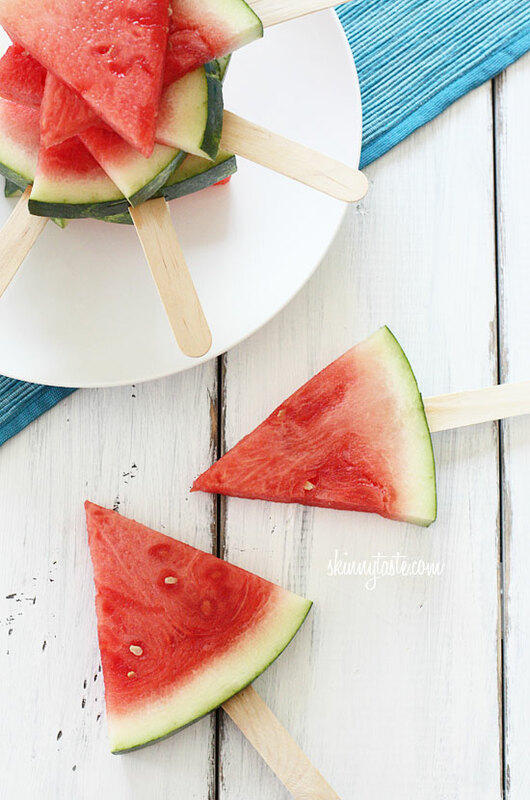 In the summer months watermelons are at their best and so it’s unsurprising that they feature again in this post in the form of these quaint and quirky little fruit bites! Nothing spells summer quite like an array of cold fresh fruit. 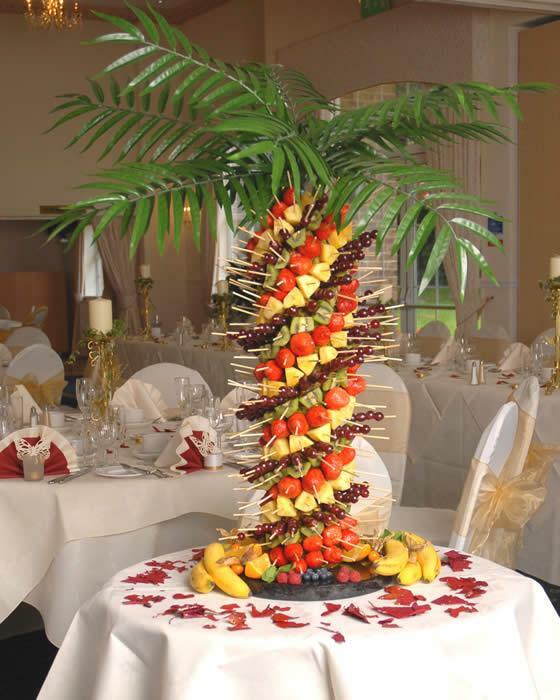 If you want to add a chocolate fountain all the better – but if not, keep things rustic and simple with platters of bright and colourful fresh fruit kebabs. Why not chuck a cheeky marshmallow (or 7) on there too? A perfect farmhouse twist on a summery petit four or a delicious evening resfresher! Not big on chewing? 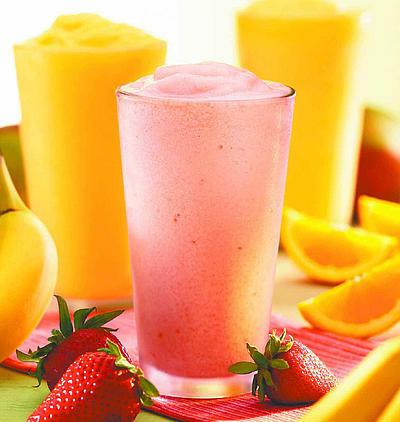 Blend all of those delicious fruits rich in antioxidants into a fabulous and colourful smoothie to serve with your evening snacks. If you’re feeling really adventurous (or just a bit drunk) add some rum and make things a little more interesting! Ok, why have you not organised these adorable things yet? 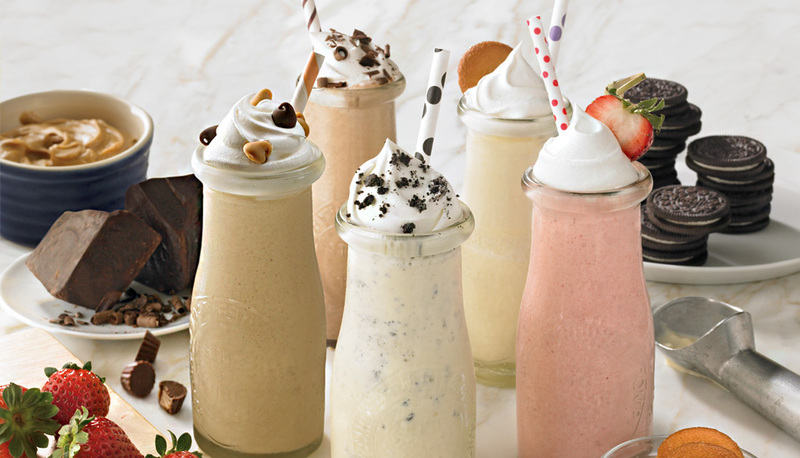 A selection of delicious, ice cold milkshakes will certainly put a smile on your guests faces! Serve them in adorable milk bottles and finish with a smattering of whipped cream and some colourful straws and serve as your dessert with some plates of assorted cookies and fresh strawberries for an extra special touch. If you’re looking for something show stopping to wow your friends and family then look no further. This incredible work of art made from hollowed out pineapples and painstakingly created by skewering a variety of fruit and marshmallows through the spiny trunk is like nothing your guests will have ever seen before. If you’re not big on bands, can’t be done with casinos but are a bit of a feeder, then consider one of these incredible trees to grace your buffet table. Pistachio Blush recommends Boozy Fruit Chocolaty Affairs! Bored with traditional wedding cakes? Firstly, you should read my other blog on wedding cakes! 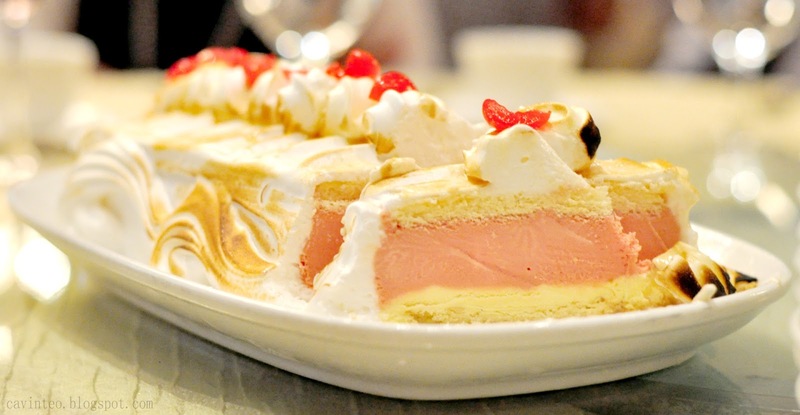 Secondly, you should consider serving up a Baked Alaska wedding cake. Layers of sponge encase any flavour of ice cream that tickles your fancy and with a sugary sweet soft meringue to finish it all off and lashings of fruit coulis, serve this up as your dessert/wedding cake! For an extra effect, add some fountain sparklers to your frozen feast and give it a real wow factor! If you’re from South Africa, the Don Pedro will need no introduction. If you’re not, where have you been drinking!? This drink is probably one of my all times favourites and if you are put off by the fact it’s made with whiskey, don’t be! I am of the opinion that whiskey is the devil’s firewater created by minions far below the surface of the Earth…but mix that firewater with some vanilla ice cream and my God it goes down smoothly! 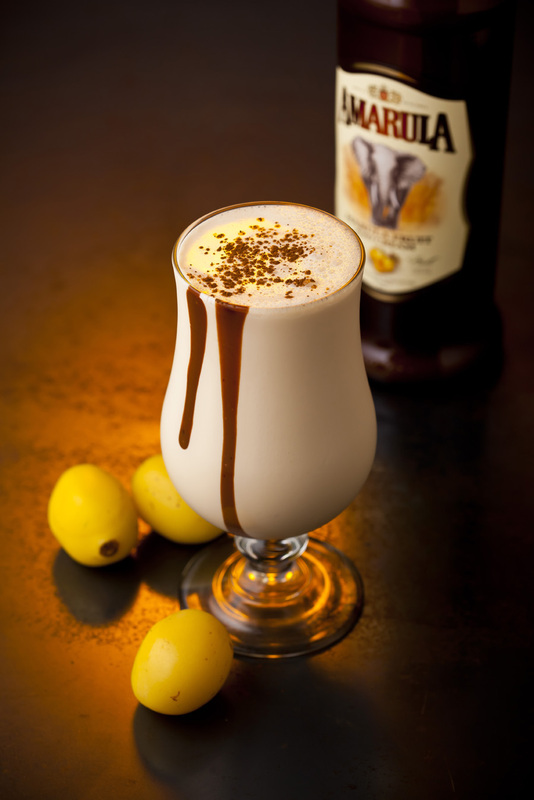 It helps that the whiskey just so happens to be the creamy variety in the form of Amarula (Bailey’s in English) and with an optional splash of Kahlua, your guests will feel like they’re in the Cape watching the sun go down. This last one is for the adventurous and ‘vintage-chic’ amongst you. 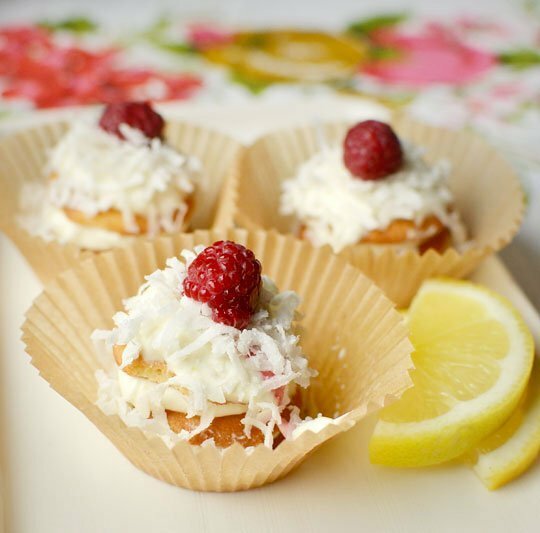 These adorable and delicious No-Bake Lemon Cream and Coconut Icebox Cupcakes are just too cute and hello, no baking required? Perfect! just make sure you’ve got some cream cheese, cream and sugar, a few lemons and some wafers and you’re most of the way there! You can find the full tantalising recipe at ‘the Kithcn‘ – good luck and happy non-baking!